Some people assume retaining an attorney is only necessary in matters involving car accidents, medical malpractice, or pending criminal charges. However, business lawyers make up a large segment of practicing attorneys, and for good reason. There are a number of instances where retaining a business lawyer is absolutely essential. Our legal team has experience in a variety of matters that fall under the business law umbrella. Here are several situations where our skilled attorneys can be a critical partner in your business dealings. It goes without saying that business disputes are nearly unavoidable, and even longtime, succesful businesses run into issues at some point or another. Business disputes can take many forms, including issues stemming from complaints about product warranties or ambiguous contracts. Hiring a business lawyer doesn’t necessarily mean you’re headed for litigation. Let our specialists help facilitate a fair compromise where appropriate, and work towards salvaging valuable, long-running business relationships. Business litigation involving disputes between companies is commonplace. Disputes can evolve from a number of issues, such as infringement of intellectual property rights or breach of contract. Disputes can also arise between members of the same company, known as intra-business disputes. Commercial litigation can arise out of partnership or shareholder disputes, and can be extremely complex. You may find yourself on the receiving end of a legal claim from customers or former employees, requiring a business lawyer to mount an appropriate defense in the case. With companies operating on tight profit margins, commercial liability claims have the ability to become quite expensive to defend. Scandals involving large companies that have abused corporate power have made all sorts of headlines over the years. One of the biggest examples in recent times was the collapse of Enron Corp. Our attorneys can provide skilled advice on corporate governance to all types of businesses, from small start-ups to high-powered international corporations. We can ensure you are in full compliance with laws like the Sarbanes-Oxley Act, which was passed in order to try and restore the public’s faith in corporate governance. Another area of importance is corporate tax liability. You need a skilled business attorney to guide you through the nuances and complexities of corporate tax laws. We can help you set up your corporation, and help you decide whether to form a C or S corporation. Proper tax planning advice is another important area of corporate tax law. You need to know the tax implications of transactions that involve mergers and acquisitions, or selling or terminating a business. 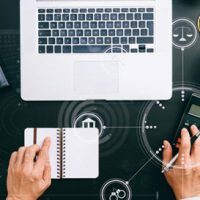 As technology evolves and laws change to keep up with these advances, you need a business lawyer who is skilled in e-discovery. The laws surrounding e-discovery, or electronic discovery, are complex. Gone are the days of sifting through mounds of paperwork, phone records, letters, and other pertinent materials. Many of these records are now stored on electronic databases, so you can run into problems if you don’t have an attorney who is properly collecting, managing, and reviewing the most recent changes in the law. If you have any business law issues, contact the office of Tobin O’Connor & Ewing to set up a confidential consultation. Let us take care of all your business law needs so you can concentrate on what’s most important – successfully running your business.